Sisulizer’s Exchange Wizard is very flexible tool and you can use it in many different ways. 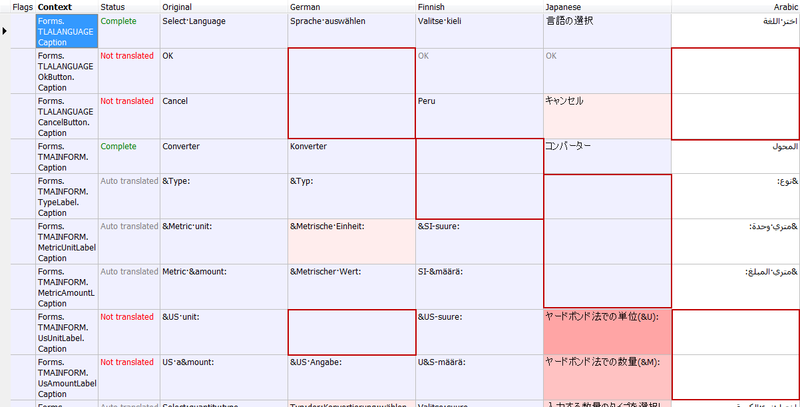 Below example shows how to add to Exchange Packages only not translated strings, even though every language has a different amount of not translated strings. All those not translated items are marked by red rectangles on screenshot. We want to send to our translators a SLE package with not translated strings only. So in the “Translations Statuses” tab of “Exchange Wizard – Filters” we should uncheck all statuses expect for “Not Translated” status. However, if we generate one Exchange Package with all languages, generated SLE will contain sum of all not translated items in all languages, that is 2rd to 9th. So, when our potential Arabic translator opens sent SLP package, he will see also items already translated to Arabic. Similar issue, but for Export wizard was described in this article. 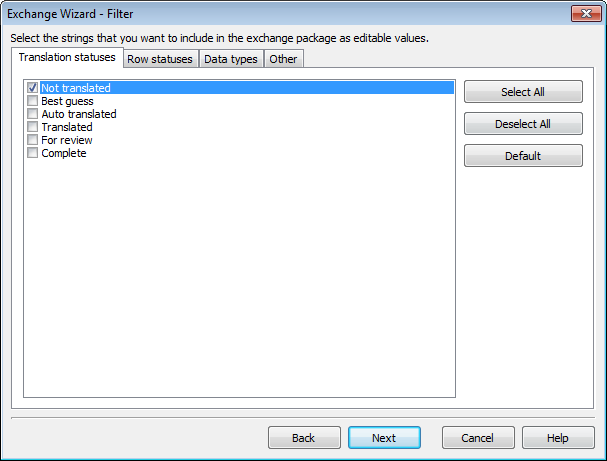 But, don’t worry, because you can easily solve this problem by checking the “Create several packages, one for each selected language” option in the “Exchange Wizard – Languages and items” step. 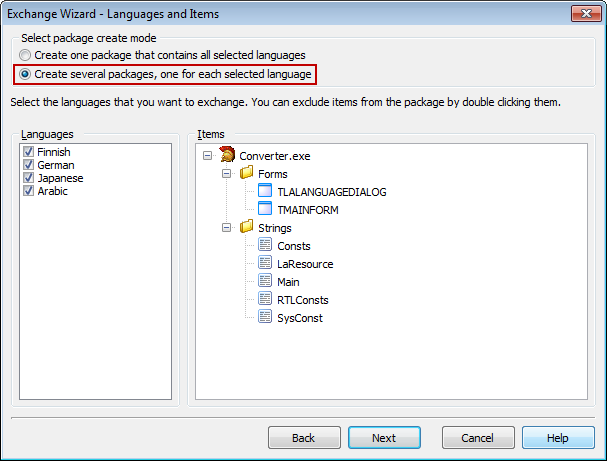 Using this option generates separated packages for each language in one operation and all SLE packages will contain only not translated items in selected language. Of course, this is only very simple example, and you can combine different settings of translation statuses in your own Exchange setup. However, I hope it shows capabilities of the Exchange Wizard.